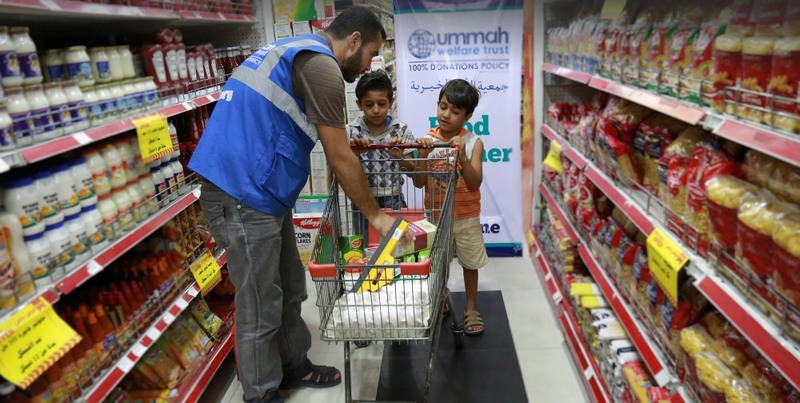 Broadening the scope for distributing food, Ummah Welfare Trust has recently undertaken a more flexible food voucher project. Vouchers, in the form of monthly cards detailing both the food recipient and shop owner/supplier, allow families to withdraw food from participating stores as and when required. Prices with participating shops are agreed prior to the scheme. As part of agreements, shop keepers are ready to deliver as and whenever required by the beneficiaries. Voucher schemes provide families the flexibility to select the items and quantities they would prefer. Families with specific food requirements (due to sick children for example) benefit greatly in this initiative. By fostering local trade, vouchers are also a great way of supporting small economies, especially strangled ones like Gaza.